New professional programs of National Institute of Design (NID) are declared for undergraduate and post graduate level. These courses are in 5 streams and in 17 diverse design domains. 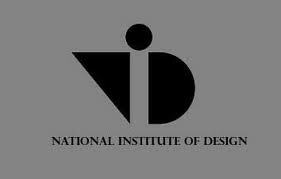 Read about more admission information in National Institute of Design. The eligibility criteria for admission in National Institute of Design is varies according to campus and course. In most of the courses, the eligibility is that you must be a degree holder or have diploma in the same stream. However, some faculties demand degree in any discipline or diploma in designing. To apply in NID, download the application form and fill it properly. You can also collect the application form from some selected branches of Bank of India for Rs. 1500 as cost of application form and Rs. 50 as bank charges. But the application procedure in National Institute of Design for reserved category students is different. Admission form for them shall be available only at Admissions Office, NID, Ahmedabad. You need to send a Demand Draft of Rs. 750 in favor of National Institute of Design payable at Ahmedabad, drawn on any nationalized bank of India. You also need to send an attested copy of relevant certificates, proving your category, from competent authority along with a self addressed envelope with stamp affixed of Rs. 40. Mark the envelope with "NID admissions 2012"
The application forms shall be received up to 2 November, 2011 for academic year 2012-13.